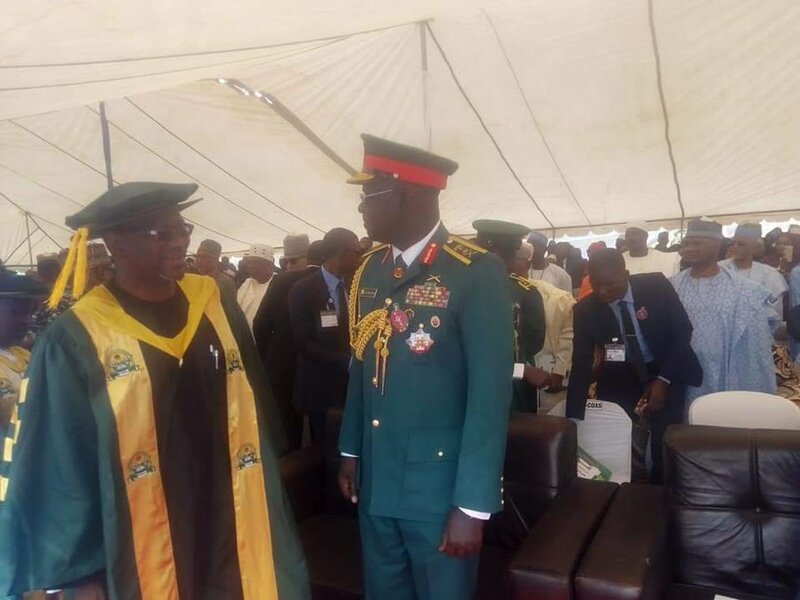 The Kaduna state University Today,conferred a honorary Doctorate degree of leadership and peace on the Chief of Army Staff in Nigeria, Lt.General Tukur Brutai . Professor Adullahi Ashafa read the curriculum vitae of the Chief of Army Staff before the award was conferred on him. Nigeria Chief of Army Staff, Tukur Burutai at the ceremony.